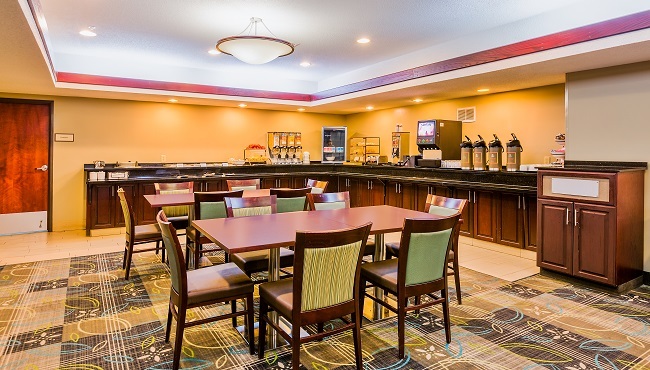 Wake up with a smile at the Country Inn & Suites, Cedar Rapids North knowing that a free, hot breakfast awaits. Join us in the dining area every morning for a selection of Belgian waffles, fresh fruit, frittatas and yogurt. Grab a cup of coffee—or two—to stay energized until lunch or dinner, which you can enjoy at nearby restaurants like Biaggi’s Ristorante Italiano or Chili’s.